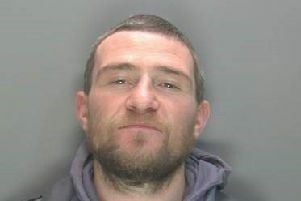 A man who carried out a spate of thefts in Hemel Hempstead has been jailed for almost a year. Aaron Broome, aged 26, of Turners Hill, Hemel Hempstead, was arrested by officers in the town on Thursday, March 21. - Criminal damage to lockers on March 20 at Hemel Hempstead Leisure Centre, Park Road, Hemel Hempstead. - Theft of items from a locker on March 20 at Hemel Hempstead Leisure Centre. - Theft of a handbag from a locker on March 20 at Hemel Hempstead Leisure Centre. - Theft from Nisa in Crabtree Lane, Hemel Hempstead, on February 24. A bottle of Jack Daniels was stolen. - Theft of a motor vehicle (a red Alfa Romeo) from the car park at Hemel Hempstead Leisure Centre on February 24. - Criminal damage to a locker at Hemel Hempstead Leisure Centre on February 24. - Theft of a camcorder and soundbar from a home in Hemel Hempstead on February 22. - Theft from Nisa in Crabtree Lane on February 11. A bottle of Southern Comfort was stolen. - Theft from Nisa in Crabtree Lane on February 10. A bottle of Southern Comfort was stolen. - Theft from Nisa in Crabtree Lane on January 27. A bottle of Jim Beam was stolen. - Theft from Nisa in Crabtree Lane on January 15. A bottle of Jack Daniels was stolen. - Theft from Nisa in Crabtree Lane on January 11. A bottle of Jack Daniels was stolen. - Failing to appear for theft at St Albans Magistrates court on January 28 2019. Broome committed the offences while subject to a suspended sentence for an offence of theft. On Saturday he was jailed for a total of 50 weeks and ordered to pay compensation of £126.99 to the Nisa store and a further £469.99 in compensation to two other victims. Dacorum Neighbourhood Team Inspector Jeff Scott said: “Broome is a prolific offender who repeatedly targeted a shop in Hemel Hempstead, brazenly stealing alcohol. “He then went on to target lockers at Hemel Hempstead Leisure Centre, even stealing the car keys from one before going outside the gym and taking the victim’s car. 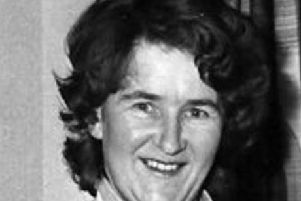 “Before being arrested Broome had been wanted by police for a short time. He was detained and arrested by a plain clothed Scorpion officer who spotted him in Queensway before arresting him in nearby Fig Tree Hill.